Season Twenty Five ran from October 5, 1988 to January 4, 1989. It contained fourteen episodes across four stories. The Doctor had undergone a personality regeneration in between seasons. While he still was comedic at times and used his theatricality, he was a lot more calculative. 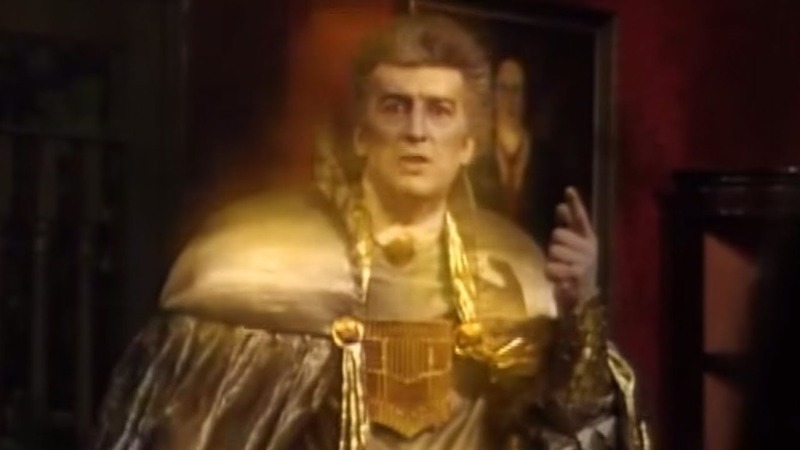 This is the chess master personality of the Doctor and some times we find out he'd engineered his victory before the story had even started. The show started to go down a darker path and made the Doctor far more mysterious than he had been in awhile. Since this was the 25th anniversary of the show, we do get some looking back to the past especially with the first story. This season also sees the last Dalek and Cybermen stories of the classic era. Season Twenty Six ran from September 6, 1989 to December 6, 1989. It contained fourteen episodes across four stories. Andrew Cartmel and Sylvester McCoy were on their A-game. The tone was much darker this season than it had been even previously and the stories were quite quite good. In fact the worst story of this season would easily have made for the best story of late Tom Baker, most of Peter Davison, and all of Colin Baker's seasons. This season also dived extensively into Ace's personal life and in many ways the last two stories of the season set the template for the modern show. Sadly we have to say goodbye to the classic series after the end of this season as the higher ups in the BBC didn't care that the show was becoming good again and cancelled it anyway though there were already some plans for season twenty seven. 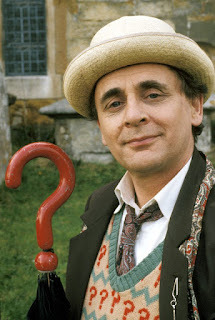 For those of you interested, season twenty seven would have seen the Doctor regenerate into Richard Griffiths (Harry Potter's uncle in the movies), Ace would have gone to the Time Lord Academy on Gallifrey to become a time lord, and the Doctor would have picked up a new companion who was an upper class cat burglar... a concept later used in a David Tennant episode. The first story of season twenty five is Remembrance of the Daleks and it's four episodes long. The Doctor and Ace land in England in 1963 where they find that the Daleks have infiltrated the basement of Coal Hill School near the junkyard on Totter's Lane. The war between the Daleks loyal to the Dalek Surpreme and the Daleks loyal to Davros is still ongoing and both of these factions are looking for a piece of Time Lord technology called the Hand of Omega which has the ability to turn a star into a black hole; it was the machine Omega created to give the time lords their ability to travel through time. The First Doctor had apparently brought the device with him and left it in a funeral home for safe keeping. The Doctor decides to bury the device and keep it away from both factions but eventually the white imperial Daleks track it down almost fully exterminating the black renegade daleks. Davros is informed that he has control of the Hand of Omega but the Doctor demands it's return. Angered by the Doctor's insults, Davros turns the device on Skaro's sun to give the Daleks the same power and the time lords. However, the Doctor earlier had reprogrammed the Hand of Omega to turn any sun it was used on into a super nova then return to where it was sent and destroy that as well. The Doctor shows no mercy as Skaro, home of the Daleks, is destroyed followed by the Dalek mothership. This is an extremely fantastic story and I left a ton out of my description. There's some subtext about racism in the 60's, Ace beats up a Dalek with a baseball bat, and we get the first on-screen confirmation that Daleks can fly. This one also nods to or mentions a lot of previous thing such as the ongoing Dalek Civil War, the junk yard and Coal Hills School from An Unearthly Child, as well as a few other things here and there. 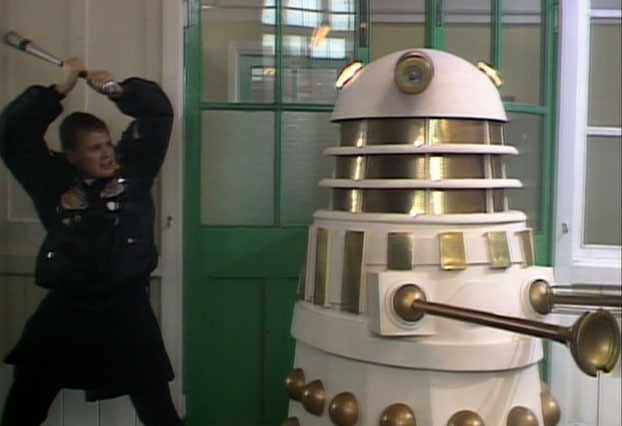 This is also memorable for the Doctor truly being almost scary as he shows no mercy towards Davros or the Daleks; he even goes so far as to convince the last remaining Dalek on earth to commit suicide at the end of the story. To be fair he only did the latter to stop the mind control on a little girl, but still. That's crazy! This is the last appearance of the Daleks in the classic show as well and includes the most awesome single-appearance Dalek in the Special Weapons Dalek. It's a Dalek with a cannon in the middle... which is just awesome. You're doing yourself a disservice if you don't watch this story! The next story is The Happiness Patrol and it's three episodes long. The Doctor and Ace land on the planet Terra Alpha and notice something is wrong. The planet's ruler Helen A has made it illegal to show any form of sadness on the planet. Her secret police, the Happiness Patrol, go around the streets arresting "killjoys" and sending them to be executed. After the Doctor and Ace are arrested, the Happiness Patrol split the pair. Ace teams up with an unhappy guard who helps her escape, and the Doctor meets with a harmonica playing man named Earl who assists him with his investigation. The Doctor and Earl find themselves in the Kandy Kitchen, a strange dungeon controlled by a candy covered robot who creates the various ways of execution; his favorite is drowning people with molten candy. With the help of the pipe people, the planet's original inhabitants, the Doctor and Ace instigate a revolution by utilizing a loophole that the revolution makes them happy so they can't be arrested. Eventually they topple Helen A's regime who learns the true nature of both happiness and sadness. This one's bad. In my opinion it's the last bad story of the classic show. It's not Time and the Rani or Twin Dilemma levels of horrible but it's not very good. It's inventive and weird but in all the wrong ways. There's a real sense of underlying darkness with people being drowned in candy and how there can be no showing of sadness but it's sort of undermined by everything on screen; it's just too bizarre. If you think you can deal with such a strange story then give it a shot. The next story is Silver Nemesis and it's three episodes long. The Doctor and Ace are hanging out in 1988 listening to music when the Doctor remembers something is supposed to happen soon. The asteroid nemesis is supposed to crash on Earth soon and the Doctor knows he has to be there. The asteroid actually contains a living metal statue called Nemesis who was created by Rassilon as the ultimate defender of Gallifrey. The statue has three parts, a bow, an arrow, and the statue itself., which have been separated since 1638. When all three are brought together, Nemesis will be activated and carry out orders. Three factions wish to take control of Nemesis - A 17th century sorceress named Lady Peinforte who has the arrow, a group of Neo-Nazis who have the bow, and the Cybermen. 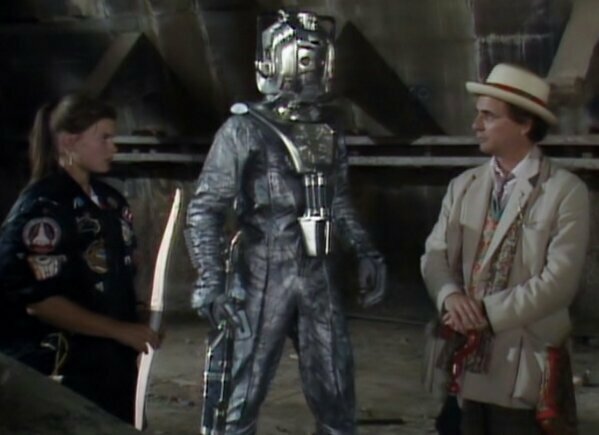 The Doctor pits the factions against each other eventually surrendering to the Cybermen allowing the Cyber Leader to activate Nemesis. However this has been a long-laid trap as when Nemesis activates it flies off and destroys the entire Cyber Fleet. A fair amount of people don't like this one but I adore it. I love this story a lot more than I really should. Lady Peinforte and her servant were hilarious together as they tried to deal with 1988 England and meet up with a lady from the US South looking into her heritage. It also features the Doctor not knowing who the Queen was, and wearing a fez while holding a mop before Matt Smith would do the same. I also like the thought that the Doctor had organized his victory so long ago that he had forgotten what was even coming. The only really negative things I could say is that the Neo-Nazis don't really add much and the Cybermen's allergy to gold is utilized here again...this time stupidly as they fall over dead just by being hit with the stuff. All in all it's a really good story that I suggest though I realize many may not feel as strongly about it as I do. The last story is The Greatest Show in the Galaxy and it's four episodes long. When the Doctor learns that Ace is afraid of clowns, he decides to take her to the circus. They head to the planet of Segonax where the Psychic Circus is being held indefinitely. It was once a spectacular circus but has become run-down. Strange things are happening in the circus as a clown driving a hearse tracks down an escaped member of the circus, a woman is killed by a giant robot, and everyone who visits the circus is forced to act in the ring. If they fail to entertain in the ring they are obliterated. The Doctor and Ace once again become separated. Ace finds a strange medallion and a man named Belboy who has lost his memories; she tries to make him remember and learns that the circus was once run by a man named Kingpin who brought the circus to Segonax in search of a great power and drove kingpin mad. The Doctor with help from a girl named Mags (lent to him by another captive, Captain Cook) find the addled Kingpin and discover a strange well with an power source deep below that resembles an eye. Cook finds them with the head clown and says they are due in the ring; Cook has set up a show to set moonlight on Mags which turns her into a werewolf hoping she will kill the Doctor... instead she turns on Cook. The spectacle pleases the three lone audience members. Ace and the Doctor meet up and the Doctor decides to return to the ring once more to allow Ace and Kingpin time to return to the well since the medallion holds the same eye shape. The Doctor performs for the trio and learns that they are actually the Gods of Ragnarok who feed on entertainment and kill anything not performing well for them. He stalls long enough for Ace to toss the medallion into the well which causes the gods' power to backfire and the circus to explode not long after the Doctor, Ace, Kingpin and Mags escape. This is a pretty fantastic story. There's a good mystery going on, we get to have a girl who is a werewolf (which is always epic) and the atmosphere is great. This story has one of the most iconic shots of Classic Who with the Doctor leaving the circus tent as it explodes. 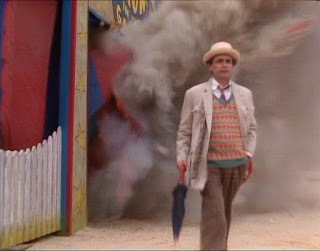 The explosion was FAR bigger than it was supposed to be but McCoy knew he only had one take so he just kept walking and acting though he was afraid he'd been injured in the explosion. The story however becomes even better if you look at it as a metaphor for the show itself. An entertainment act that was no longer doing as well as it once was through people still enjoyed it. A group of stone faced god-like beings who had control over the life and death of the entertainment so long as it entertained them. A kid showing up who was a fan of the circus' old stuff. It's basically nothing but a giant metaphor for the show and it's glorious. Definitely check this one out. The first story of season twenty six is Battlefield and it's four episodes long. When the TARDIS receives a distress call they land on Earth where they find that UNIT under the new leadership of Brigadier Bambera is handling some nuclear armaments. Things start to heat up when armored knights wielding swords and futuristic guns from an alternative reality lead by a man named Mordred. They are looking for King Arthur and Excalibur but are being delayed by one of Arthur's knights, Ancelyn and eventually Brigadier Bambera. Upon hearing news that the Doctor is nearby, Brigadier Lethbridge-Stewart hops on a helicopter to join them. Mordred calls for his mother, the sorceress Morgaine to come to this reality in the search for Excalibur. The Doctor meet with Brigadier Bambera and Anceyln; the latter begins to call him Merlin. The Doctor theorizes that he will eventually become their Merlin, or an alternative version of himself from their reality is Merlin. The Doctor and Ace discover a sunken space ship which would only open at the Doctor's voice and inside is the corpse of King Arthur and the sword Excalibur. Brigadier Lethbridge-Stewart joins the Doctor and Ace with the Doctor's old car, Bessie. Morgaine sends Mordred to fight against the UNIT troops as the summons a demon from her reality called the Destroyer to obliterate Earth. The Doctor goes to stop the fighting between Mordred and UNIT leaving Ace with the sword. Ace hands the sword to Morgain in order to save her life and the life of a local girl. The Doctor decides to face Morgaine and the Destroyer but Lethbridge-Stewart knocks him unconscious, loads his gun with silver bullets and heads in. The Brigadier doesn't find Morgaine but shoots the Destroyer causing the area to explode; thankfully the Brigadier survives. The Doctor locates Morgaine who is about to set off the UNIT nukes but appeals to her honor and convinces her that nuclear war is not an honorable fight. She concedes as Brigadier Bambera takes Morgaine and Mordred into custody. This story is good. However, it is a testament to the strength of this season that this is actually the weaker link this run. This would easily be one of the better if not best stories of the past ten years, but the other three stories this season are just that strong. This episode shows the final on-screen appearance of Brigadier Lethbridge-Stewart in the entire show. He did not appear on-screen in the reboot either by design or they just hadn't gotten to him yet by the time Nicholas Courtney passed away. He did appear in an episode of the Sarah Jane Adventures though. Jean Marsh plays Morgaine and she's an absolutely brilliant villain. She's cold and ruthless while still maintaining an extreme amount of honor. 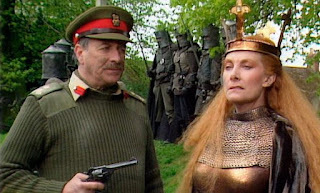 She cordially meets with Lethbridge-Stewart prior to battle, her army holds a memorial service for the soldiers of Earth who had died in previous wars, she pays for her son's alcohol tab at the local pub by returning the blind landlady's sight... she's just really amazing. Jean Marsh also was John Pertwee's ex-wife and had previously played Sarah Kingdom in the William Hartnell era making her the second (and so far last) companion to have returned to play another part. This story is good and you should check it out. In fact, you should check out every story this entire season. The next story is Ghost Light and it's three episodes long. In 1983, Ace had burned down an abandoned mansion because she felt a strange evil presence in the building. The Doctor's curiosity about this prompts him to land the TARDIS at that building in 1883 without telling Ace exactly where they went. It turns out that an alien named Smith is over the Gabriel Chase mansion. Smith is obsessed with evolution and has evolved himself from an insect species into a Victorian gentleman. In the house with him is a neanderthal butler, the daughter of the original ownders of the house, a calculating housekeeper, and a priest who opposes evolution and Smith's worth to further the theory's spreading. Smith also has captured and brainwashed a famous explorer who knows Queen Victoria well and intends to use this man to get to the Queen, assassinate her and rule the British Empire. However his plans start to go south as the Doctor and Ace discover a spaceship buried beneath the house and a woman named Control within. The Doctor, Ace, and Control help to free a being trapped in the spaceship named Light. Light had been sent to Earth to catalogue every living being but Smith mutinied and locked Light up...however Light is more upset that life has changed and evolved since his slumber. Eventually Control starts to "evolve" into a proper lady and Light goes berserk as he can't handle the constant change. Control releases the explorer from his brainwashing as the Doctor confronts Light that he cannot stop evolution. The news distresses him and his body dissipates into the house (which was the presence Ace felt). Control, the explorer, and the neanderthal lock Smith in the ship and go to explore the stars together. This story is good...very good. However, it's notoriously confusing. It's the single most incomprehensible piece of Doctor Who that exists partially due to the fact that significant portions of the original script were removed to fit the three-episode format of this story. Don't let the confusion deter you from watching this because it's absolutely brilliant. Just keep my explanation of the story in mind as you watch it because the story is incredibly difficult to follow. It's so confusing that a special feature on the DVD release was the original author explaining the story. Once I listened to that I understood it but until then I was left with.. WOW that was good but I didn't understand a thing. Originally this story was supposed to be set on Gallifrey and involve the Doctor's relatives which would have been interesting to see. As-is though this is great and you should watch it. The next story is The Curse of Fenric and it's four episodes long. The Doctor and Ace land at a British Naval Base during World War II. A scientist there is using a super computer to not only decipher German orders but also is attempting to translate some ancient Viking runes which mention a being called Fenric. The scientist hopes to harness the power of Fenric for the Allied Forces against the Nazis. 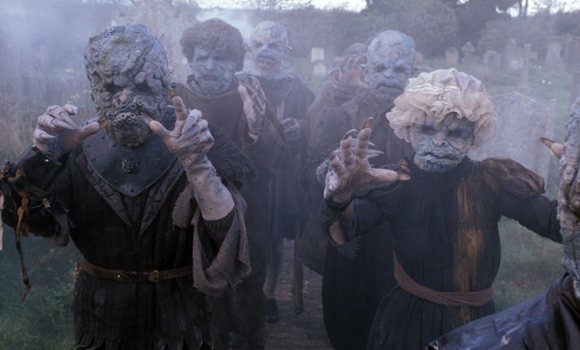 When the Doctor and Ace examine the runes and take a strange vase to the base, a group of underwater vampires emerge from the sea and attack/trasnform anyone in their path as they approach the base. The scientist uses the machine to decipher the runes on the vase only to be hit by energy and become possessed by Fenric himself. Fenric summons The Ancient One, leader of the underwater vampires to kill everyone in the base. Ace warns a woman whom she has befriended, Kathleen, so that she has plenty of time to escape with her newborn child. The Doctor eventually reveals that he has been facing Fenric for a very long time and the pair have been challenging each other with chess problems. The Doctor arranges a seemingly impossible chess problem with delays Fenric while he searches for a more permanent solution. When a soldier enters the room with Fenric, Fenric reveals that the soldier is one of the "wolves of Fenric", descendants of the original vikings which took the vase and made the runes whom Fenric can fully control at will. He then leaves the scientists body and continues in the soldier's body. Unknown to the change, Ace helps Fenric solve the chess problem before the Doctor can arrive back. Fenric then reveals that Ace is also one of the wolves and that she has allowed herself to be one as the baby she saved was the mother she despises. Fenric was also the real reason she had been thrust into Iceworld to meet the Doctor. He has also been toying with the Doctor behind the scenes with chess boards in some of his adventures since Iceworld. Fenric orders the Ancient One (who no longer wishes to follow Fenric's orders) to kill the Doctor but a psychic barrier created by Ace's trust stops him from moving. The Doctor almost cruelty shatters Ace's trust in him allowing the Ancient One to kill Fenric and himself in the process. The Doctor explains his actions to Ace and the pair return to the TARDIS. The last story of the season and the Classic Show is Survival and it's three episodes long. The Doctor takes Ace back to her home town of Perivale where people have been going missing for quite some time. A small black cat has been seen stalking the people who go missing. The cat is actually a creature known as a kitling who has been coming to Earth and sending people to another planet to be hunted down by a group of were-cheetahs. If you stay on the planet for too long you become a were-cheetah yourself. The Doctor and Ace are grabbed but rather than being eaten, they are taken to see the leader of the pack, The Master. He was also grabbed by a kitling and without his TARDIS, has slowly started turning into a cheetah himself. Ace begins transforming as well and strikes up a bond with another girl who has already become a cheetah. Others have started becoming cheetah people as well and the Master uses this knowledge to send them "home" which allows him to escape the planet. The Doctor utilizes the same technique with Ace and tracks down the Master who uses his own still-active cheetah powers to teleport himself and the Doctor back to the planet which is now dying. The Doctor refuses to succumb to the power of the planet and decides not to fight the Master at all. His pacifism releases him from the planet and he, along with the now cured Ace head back to the TARDIS. This story is good though not quite as good as The Curse of Fenric or Ghost Light. 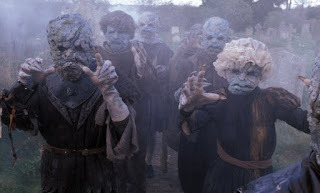 As much as Fenric can be considered a precursor to the Moffat era, Survival can be seen as a precursor to the Russel T Davies era (Series 1-4) of the new show. It takes place in working class England, it involves the companion's backstory, and it's deeply personal to the companion in general. 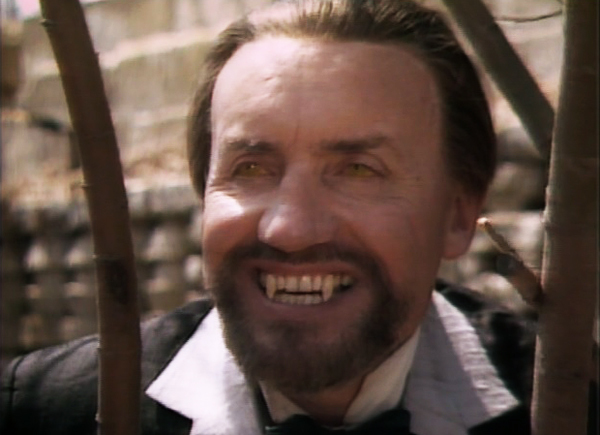 This is the last time that we will get to see Ace and Anthony Ainley as the Master. This time, Ainley was allowed to play the Master as dark and menacing as he had always wanted to, and the quality shows. Give this one a try. Thus ends seasons twenty five and twenty six as well as the classic show as a whole. It's fairly bittersweet as the show was finally on the right track again and the final season proved that by being extremely excellent. Perhaps if the regeneration had happened the BBC would have hung on to the show a few more years. At this point, people who were children at the time of Hartnell's era were starting to get higher up jobs at the BBC. Maybe they would have let John Nathan-Turner go and brought in a new producer who was a fan of the show and wanted to bring it on into the 90's. That, of course, didn't happen but what we were left with became truly great again right at the end. We will see the 7th Doctor one last time in the bridge between old and new Who... but that's for next week. Please join me again as we continue to examine all of Doctor Who.